With an abundance of sympathy, the Majestic Funeral Homes Family announces to all that Mr. Bennie McGill, no longer answers to his name on this side because he answered his Heavenly Father’s summons on Friday morning, January 18, 2019 while resting at Lower Cape Fear Hospice Center in Whiteville, NC. The “Last Mile” events between Mr. McGill and his precious loved ones will be begin with visiting moments on Friday,January 25, 2019 from 5pm to 7pm in the main chapel of Majestic Funeral Home in Elizabethtown, NC. The celebratory events will climax with a Glorious Service of Remembrance on Saturday, January 26, 2019 at 12noon at Savannah Temple AME Zion Church, Clarkton, NC. Following the services in the house of God, Mr. McGill's physical temple along with his cherished family will be escorted to the Pone Cemetery for Interment Rites. Yes this is as far as Mr. McGill's relatives can trod with him on this side of eternity, however, they can find solace understanding he is now in that land flowing with milk and honey and the King of Kings is present with all the saints that have made it over and each are praising our Savior all the day long. 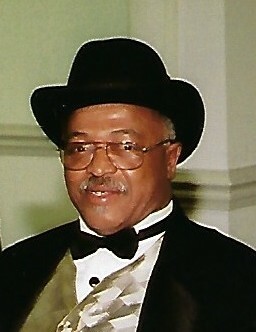 Left to cherish his memories: his wife: Gloria McGill, one son: Bennie Lee McGill, Jr. (Angel); one daughter: Monique Davis Lloyd; grandchildren: William Jacoby Singletary, Shanique Lloyd, Matthew McGill, Madison McGill, Tayllor Corbin, Jasmine Johnson, James Johnson, Tamara Davis, Chassity Frazier and Ambrie Frazier; eleven great grandchildren and a host of other relatives and friends. Visitors are being received at the residence located at 1434 Baldwin Branch Church Road, Elizabethtown, NC where they will also assemble in preparation for the Prestigious Majestic Ebony Motorcade. The Compassionate Professionals of Majestic Funeral Homes are serving the McGill and connected families with uncompromising dignity.